Whole grain breads offer complex carbs. Have you heard of the Bread for Life Diet and wonder how it works or if it works? It's a unique weight loss plan with an interesting approach to losing those unwanted pounds. 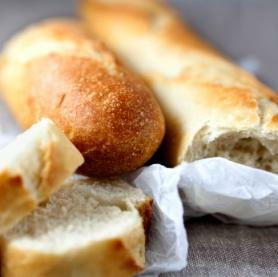 What Is the Bread for Life Diet? The Bread for Life Diet focuses on three major food categories: vegetables, bread, and fruits. It is a high-carb diet centered around eating lots of vegetables, whole grains, and fiber. Participants in this diet avoid processed foods, fats, sweets, and red meats. Those who've participate in the diet notice a decline in powerful sweets cravings. While following this plan, dieters should plan to eat small meals every three or four hours. The diet consists of two stages. Where Can I Purchase Ezekiel Bread? Stage one lasts up to two weeks and is often the most difficult stage of the diet. Designed to take off weight quickly, it's centered around eating bread slices along with thin spreads. One of the key components to stage one is the elimination of some bad eating habits, like choosing the wrong foods and overeating throughout the day. Stage one is intended to be followed for no more than two weeks. It is not designed for long-term use although it is considered to be nutritionally balanced. While weight loss is certainly possible when stage one's recommendations are followed, insulin and serotonin levels may become more stabilized during this period of the diet as well. If you are a diabetic, hypoglycemic, or have any other medical conditions, however, you should consult your physician before trying this or any new diet. Lots of bread slices - up to 12 slices for women and 16 slices for men each day. Meat, chicken, or fish - only allowed three times per week. Six meals a day - for example, a meal could consist of two slices of whole wheat bread along with a thin spread of cottage cheese as well as tomatoes and lettuce. Other low-fat or no-fat spreads - these could include Swiss cheese, mustard, scrambled egg, and low-fat yogurt. Add vegetables to the sandwich or on the side. By the time you've completed stage one, stage two will seem much easier to follow. This stage includes more food choices and more substitute options for bread. Instead of eating meat only three times per week, you can now eat meat, fish, and poultry five times each week. When you add meat to your meals, however, reduce your bread intake. Bread substitutes include rice, whole wheat pasta, and cereal. You can also eat fruit in moderation. The following tips and advice will help you find success following this particular diet. Consume two to three tablespoons of olive oil each day. Eat your first meal in the first two hours of your day. Eat your last meal one to two hours before going to bed. Don't starve yourself. The weight you lose should be a gradual process. Develop an exercise routine that involves moderate activity, typically 30 to 45 minutes five or six times a week. Take a daily multivitamin/mineral tablet as well as a calcium supplement. All of your meals should be approximately the same amount. Avoid the common habit of eating three larger meals and two snacks each day. Eat every three or four hours regardless of whether or not you are hungry. Choose light whole grain breads over regular breads. Check the ingredients and avoid breads that are 80 calories or more per slice. Choose healthy low-fat meats, like tuna, chicken, and turkey. Watch your portions. Be sure you use a thin layer of the spread you choose. Eat the bread with a salad, bowl of vegetable soup, or as a sandwich. This diet avoids processed foods. Fill up on lots of vegetables and choose fat-free or low-fat spreads. The following is a list of spreads that work well with this diet. Finally, many people often continue to follow stage two of the diet to maintain their weight loss. If you begin packing on those pesky pounds, however, revert back to stage one for a week to jumpstart your diet. 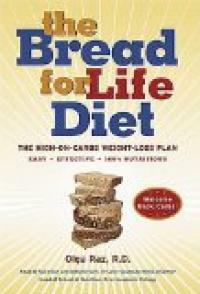 For more detailed information on this diet, consider purchasing The Bread for Diet Life book.